Zinc oxide is an inorganic compound with the formula ZnO. 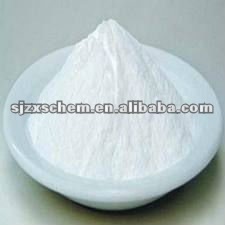 It usually appears as a white powder, nearly insoluble in water. The powder is widely used as an additive into numerous materials and products including plastics, ceramics, glass, cement, rubber (e.g., car tires), lubricants, paints, ointments, adhesives, sealants, pigments, foods (source of Zn nutrient), batteries, ferrites, fire retardants, first aid tapes, etc. Shijiazhuang City Xinsheng Chemical Co., Ltd.